Irina Ivanovna Sokolova - Doctor of Medical Sciences, Professor. Responsible: Candidate of Medical Science, associate professor T.V. Tomilina (academic work), Candidate of Medical Science, associate professor E.G. 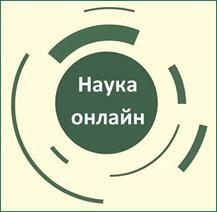 Denуsova (research work), Candidate of Medical Science, assistant E.G. Yaroshenko (clinical work), Candidate of Medical Science, associate professor E.Yu. Stoyan (educational work), Candidate of Medical Science, associate professor S.I. German (section on therapeutic dentistry), Candidate of Medical Science, associate professor O.O. Cheliapina (section on Orthodontics), Candidate of Medical Science, associate professor K.V. Skidan (publishing activities of the department), Candidate of Medical Science, assistant V.V. Oleinichuk (safety at the department), Candidate of Medical Science, associate professor N.N. Savelyeva (cooperation with the internship part-time basis), Candidate of Medical Science, associate professor M.B. 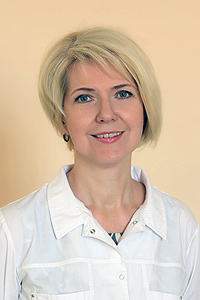 Khudiakova, Candidate of Medical Science, assistant O.V. Yeliseyeva (on-line moderator), Candidate of Medical Science, assistant M.I. Skidan, Candidate of Medical Science, assistant I.S. Sukhina. By-workers: Candidate of Medical Science, assistant V.V. Liubyi (Chief physician "Kharkiv Dental Clinic № 4"), Candidate of Public Administration Science N.N. Udovichenko (Chief physician "Kharkiv Dental Clinic № 7"), Candidate of Medical Science, associate professor M.M. Biriukova (director of the Stomatological Centre of KhNMU), Candidate of Medical Science, assistant N.L. Khlystun. Candidates for a master’s degree: J.V. Nikonova. Have a Master’s Degree in pedagogy of higher education: I.I. Sokolova, O.V. Yeliseyeva, E.G. Denуsova, E.Yu. Stoyan, N.N. Savelyeva. The following subjects are taught at the Department: "Therapeutic dentistry", "Pediatric dentistry", "Orthodontics", "Dental surgery", "Prosthetic Dentistry." The department provides educational and pedagogical work at dentistry center of KhNMU, which includes 2 years training of interns in dentistry. In 2011 the department started refreshment courses for dentists of different specialties devoted to the urgent problems of modern dentistry, and in 2013 – pre-attestation course and specialization in "Dentistry"and "Therapeutic dentistry". A responsible and important educational focus of the department’s teaching activities is the training of internship doctors for the "KROK-3. Dentistry" integrated licencing examination. In order to optimise its realisation, the department has created its own computer programme, and guidelines for self-study interns are issued annually. In addition, members of the department have repeatedly co-authored testing tasks collections for the "KROK 3. Dentistry" integrated licencing examination at the Testing Centre of Ministry of Health of Ukraine. Currently, research is being conducted within the research initiative "Development of new methods of diagnosis, treatment and prevention of maxillofacial pathology area in children and adults," state registration number 0115 U000230. The terms of performance: 01.2015 - 12.2017. "Experimental and clinical grounds of the combined use of hyaluronic acid with quercetin in the complex treatment of chronic catarrhal gingivitis". "Peculiarities of the course and prevention of inflammatory periodontal diseases in adolescent girls with menstrual dysfunction"
Beginning from 2006 1 doctoral dissertation, 8 candidate dissertations, and 31 scientific qualification master's studies were defended; 1 candidates for a master’s degree and 2 post-graduates are being trained. 10 utility model patents and 3 certificates of copyright were received, more than 150 presentations at conferences and seminars were prepared, and more than 300 scientific studies were published. Employees of the Department have published a monograph and several study guides. The Department participates in congresses and conferences of scientists in Ukraine and Russia, collaborates with GU "Institute of Dentistry of Academy of Medical Sciences of Ukraine", GU “V.N. 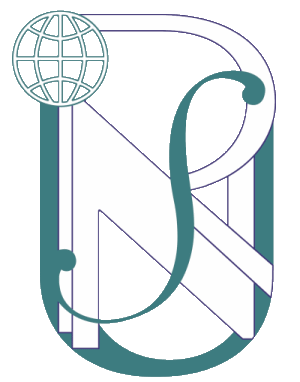 Karazin Kharkiv National University". Diagnostic and treatment work is carried out in the university dental center (annually the staff of the Department advise and treat more than 3842 patients (adults and children) with a variety of oral diseases. Daily consultations according to a set schedule and clinical conferences are held. Together with the 1st Children's Dental Hospital, the 4th and the 7th dental hospitals of Kharkov the problems of improving the effectiveness of primary and secondary prevention of oral diseases in children and adolescents are being solved. Associate professors and assistants work on the issue of using modern methods of prevention and treatment of teeth disoders in children and adults, as well as on the issue of improvement of the effectiveness of treatment and prognosis of periodontal diseases. Employees of the Department carry out advisory work with patients in Kharkov area and regions. After the creation of the Dental Faculty at Kharkov Medical Institute, since 1983 the training of internship doctors has been conducted by a specialised department of the dental faculty. 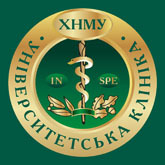 Thus, since 1983 the Department of Preventive Dentistry has conducted the training of internship doctors in Kharkiv and Sumy regions by distance learning, and since 1993 only interns of Kharkiv region have studied at the mentioned department at the full-time two-month cycles in the form of part-time study. In the 2005-2006 academic year, the training of interns of the specialty "Dentistry" also started at the Department of Preventive Dentistry. In August 2006, the Department of Dentistry was founded, which continued the training of general practice dentist.